The Eastern region of Sicily is famous for its Baroque towns, all of those rebuilt after the terrible 1693’s earthquake. Outside the towns though there is another kind of beauty to witness: a charming coast made of golden beaches, among the most beautiful of Italy. 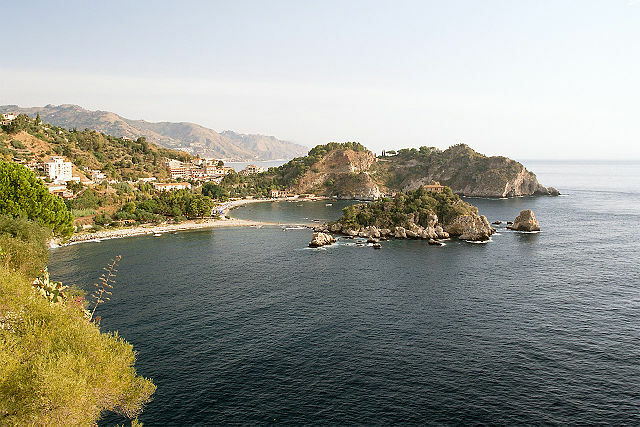 If you are planning to travel to Sicily and you are looking for an accomodation for your stay, we suggest you to check our catalogue of our Villas in Sicily with pool near the beach. At the foot of the Tindari fortress, set on the Nebrodi mountains, lies the Natural Reserve of Marinello Lakes. sandy languages that form a peninsula, whose shape changes depending on the tide, embedding the sea and leaving small lakes. Most interior lakes are freshwater, and the landscape is completed with the Mediterranean, consisting mainly of reed trees, prickly pears, myrtle and capers. In addition to the tour cycling along the 400 hectares that make up the coastline you can travel by boat. Located in the Vendicari Reserve, Calamosche beach is one of the most beautiful beaches of Sicily. Immersed in one of the most pristine areas of the region, the wildlife oasis of Vendicari, the beach stretches for 200 meters and is nestled between two headlands that descend slowly in the clear, clean waters of the coast. You will reach it after a short 15 minute walk from the parking area. It is equipped with kiosks and establishments, so bring water with you, and all you need for the day. The beach of Capo Passero, the southernmost point of Sicily, is right opposite the Island of Currents. Precisely in this stretch of sea currents meet from different areas of the Mediterranean. A fascinating landscape, with the small island connected by a thin strip of stones, sometimes submerged by the tide. On the island is the small lighthouse, which makes it even more impressive the horizon. The beach of Capo Passero you can easily get to and once there, the calm sea, the islet you can walk and experience the thrill of being between two seas. A few kilometers from Siracusa there is the beach Fontane Bianche (white fountains) is one of the most beautiful coastlines in the region as very similar to the Caribbean, tropical landscapes. Its name comes from the many natural water fountains that are located along the coast and the white sand. We are in Taormina, one of the most famous and renowned towns of Sicily. There lies Isola Bella beach: a thin strip of sand that binds this small island to the mainland and to the sides at the beach. A dense vegetation covering the rocky islet which remains easily accessible on foot or by a short swim.